Bestselling author Bethany McLean reveals the true story of fracking's impact -- on Wall Street, the economy and geopolitics. The technology of fracking in shale rock -- particularly in the Permian Basin in Texas -- has transformed America into the world's top producer of both oil and natural gas. The U.S. is expected to be "energy independent" and a "net exporter" in less than a decade, a move that will upend global politics, destabilize Saudi Arabia, crush Russia's chokehold over Europe, and finally bolster American power again. Investigative journalist Bethany McLean digs deep into the cycles of boom and bust that have plagued the American oil industry for the past decade, from the financial wizardry and mysterious death of fracking pioneer Aubrey McClendon, to the investors who are questioning the very economics of shale itself. McLean finds that fracking is a business built on attracting ever-more gigantic amounts of capital investment, while promises of huge returns have yet to bear out. 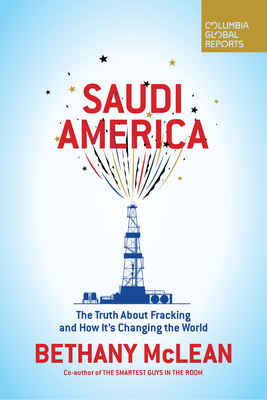 Saudi America tells a remarkable story that will persuade you to think about the power of oil in a new way.